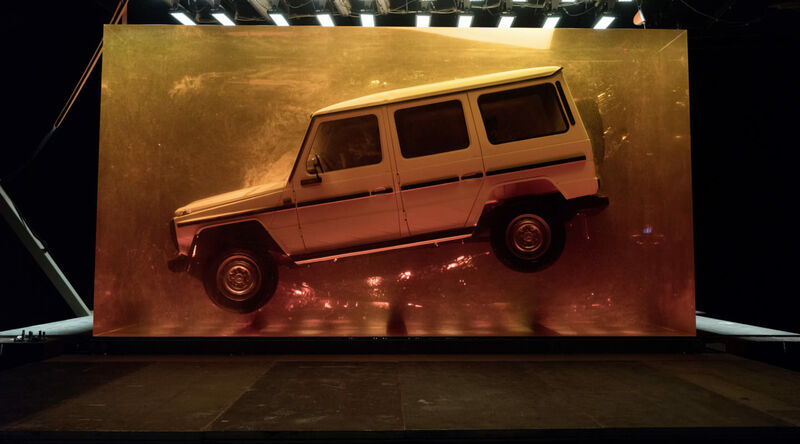 This may look similar to the 1979 classic, but the 2019 Mercedes-Benz G-Class is actually a brand new SUV with a more luxurious interior and an independent front suspension to boot. 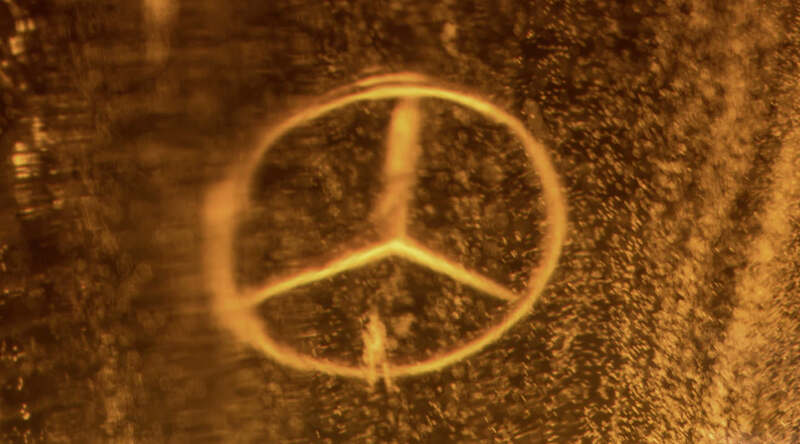 However, to show visitors at the upcoming Detroit Motor Show why it’s still shaped like a brick, Mercedes-Benz will showcase the new model next to a 1979 280 GE, which has been encased in 44-tons of synthetic resin. Continue reading for a behind-the-scenes video, pictures and more information. 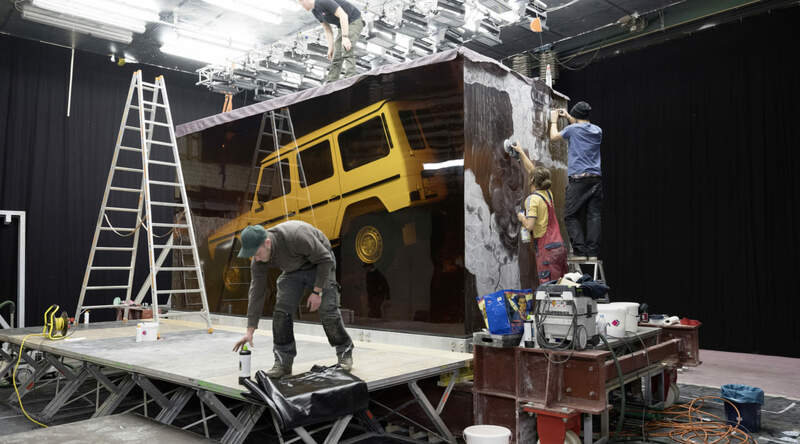 “The 1979 G Wagon heading to Detroit has been permanently cast into 44 tons of amber. 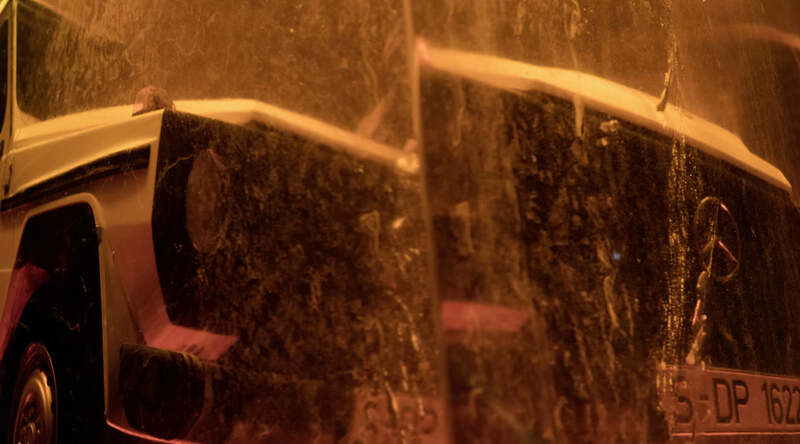 Instead of using natural resources, a synthetic resin was poured around the vehicle and allowed to harden. This monolith measures 18′ long by 10′ high, and it took 90 days to cool. The logistics of transporting something like this make us wonder what will happen to it after the show. Perhaps the fossilized 4×4 will be found in the distant future, and its DNA will be used to clone a new generation of rugged luxury SUVs,” according to Autofluence.